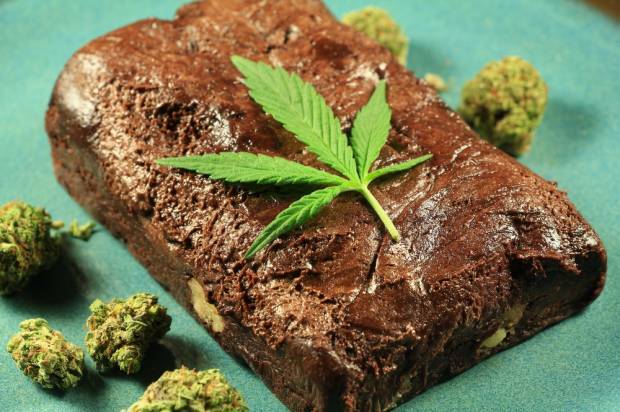 A Maryland high school student was arrested after sharing a marijuana infused brownie with his teacher. She obviously could not hang (not to mention she had no idea she was high) and was taken to the nurse’s office after she reported feeling ill and acting disoriented. From there, an ambulance was called. The student admitted to giving his teacher a piece of the brownie; reports claim he confirmed marijuana was in his special confections. Interestingly, Maryland is a jurisdiction which has decriminalized possession of small amounts (less than 10 grams) of marijuana. (1) Administering and distributing the marijuana to his teacher and his girlfriend. He could face up to five years in prison for just these drug charges. Under Maryland law, a person may be found guilty of 2nd degree Misdemeanor Assault by intentionally causing “any impairment of physical condition” to another person. I suppose it could be argued this would include getting your teacher baked on weed-brownies. Reckless endangerment requires that a person “engage in conduct that creates a substantial risk of death or serious physical injury to another.” This seems like a real stretch, I can’t see a jury thinking getting a little high is a serious physical injury. All charges filed against the teen were juvenile citations, meaning he and his family will be working out the charges in Juvenile Court. In Texas, he would be tried as an adult (17 is an adult under Texas law).